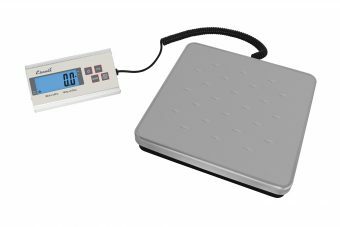 The Industrial Digital Platform Scale is a high-end industrial scale with a wired remote display for easy reading. Its the perfect digital scale solution for warehousing, manufacturing, or other industrial requirements. Minimum weight readout is 6 ounces. Weighs in pounds or kilograms in increments of .05 lb (.02 kg). The platform measures 11.75 x 11.75 x 1.75 in.